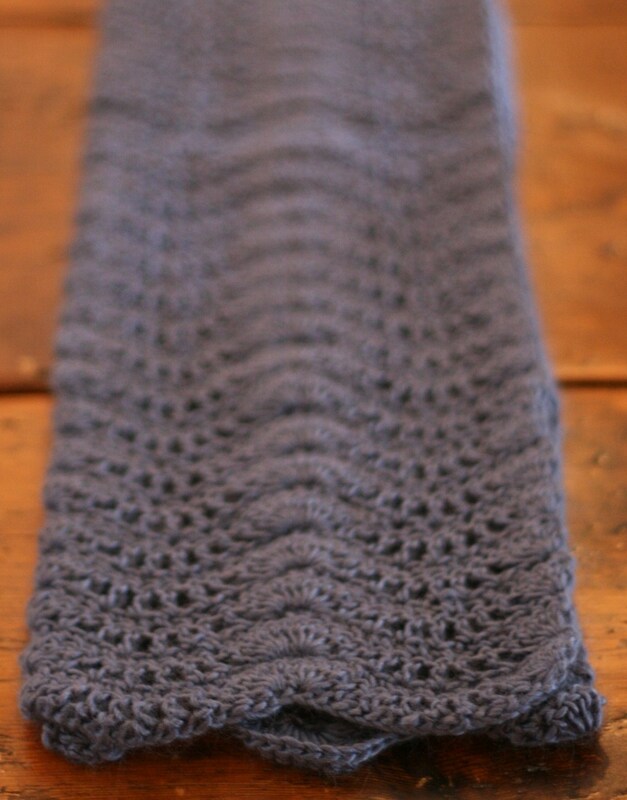 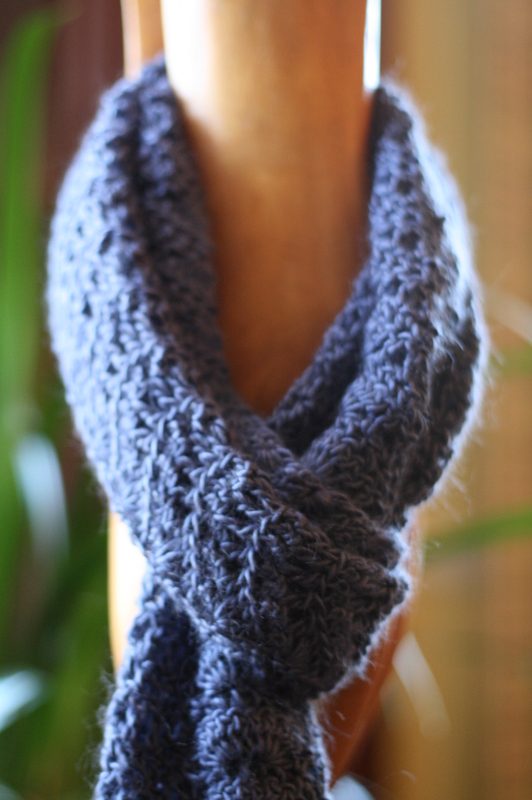 For this scarf I used Berroco Lustra yarn which is 50% Peruvian Wool and 50% Tencel Lyocell. 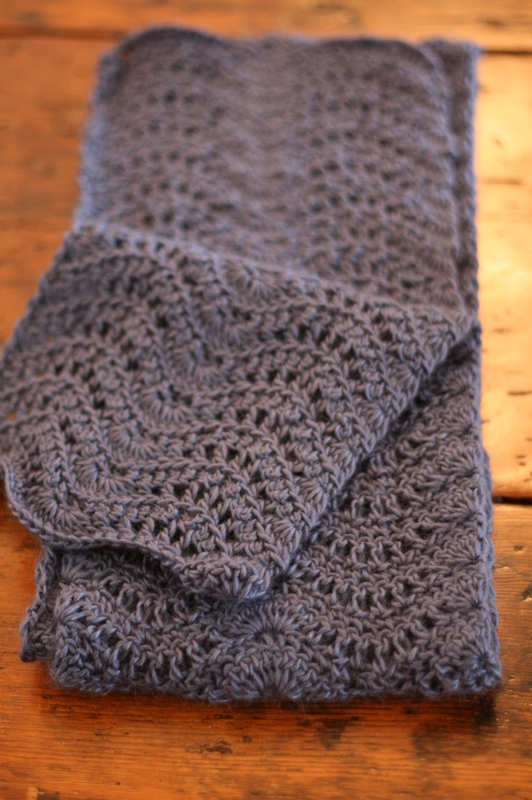 It’s a wonderful yarn to work with and the feather and fan stitch works great with it! 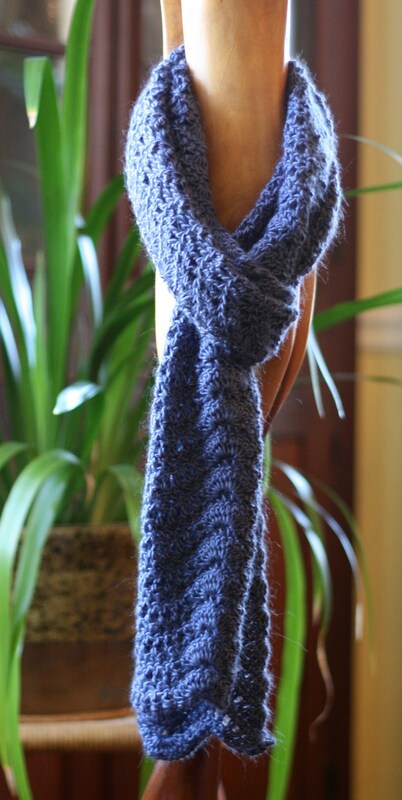 You used the feather and fan stitch for both?